Most special occasions take a dedicated amount of preparation and effort. If they go off without a hitch and are successful, it’s likely that they’re planned again and again. If it’s a public activity that evolves annually and offers people that something different, it may continue fulfilling its capacity in the community year after year. Still, events come and go. Some take a hiatus for a year or two and then return in an altered state. 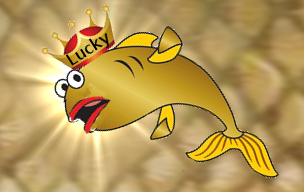 This is the reality the Droppin’ of the Carp faces. 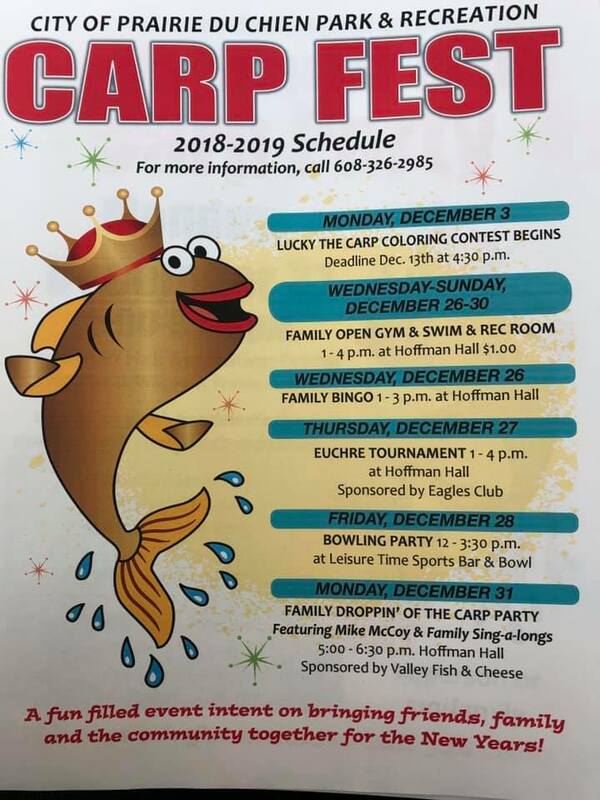 After 17 years, it has been decided by the carp committee that the famed New Year’s Eve festivities will not happen in Prairie du Chien, as 2018 comes to a close. The main reason the committee decided to take a break from Droppin’ of the Carp is that it’s not an easy task to pull off, being outside all day on a freezing New Year’s Eve, getting together all the equipment to raise and drop Lucky, etc. Of course, the committee is also aging, and staying up past midnight is not simple either. The eccentricity of the event won’t completely go away, with the Droppin’ of the Carp discontinued, however, Ulrich noted. 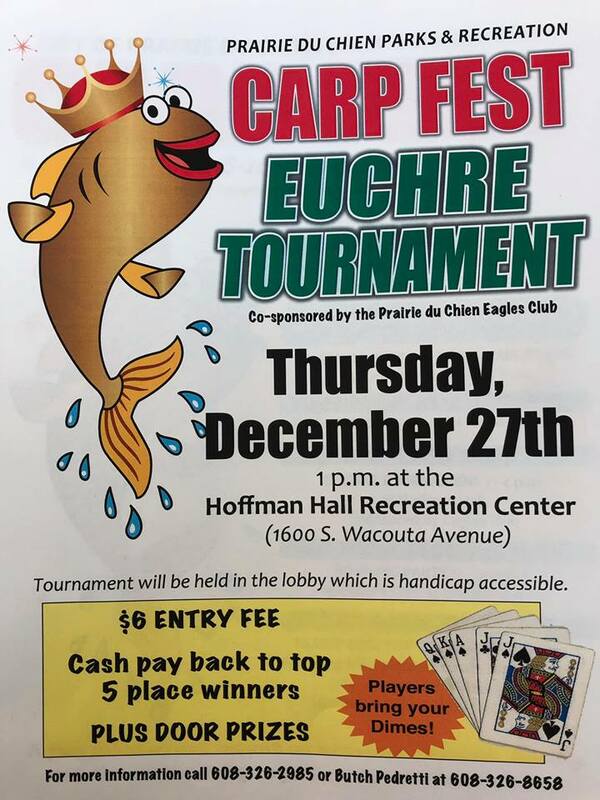 Parks and Rec intend to move ahead with Carp Fest, Dec. 26-31. 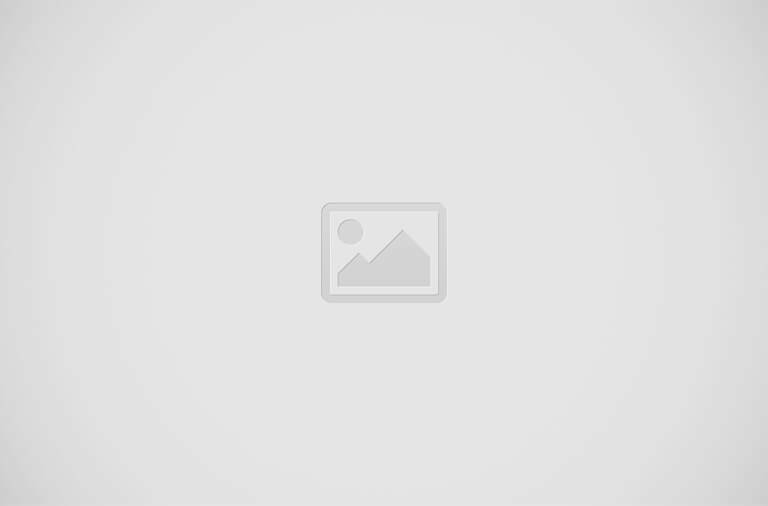 A host of family-oriented, indoor activities are scheduled in Prairie du Chien throughout the last week of December. 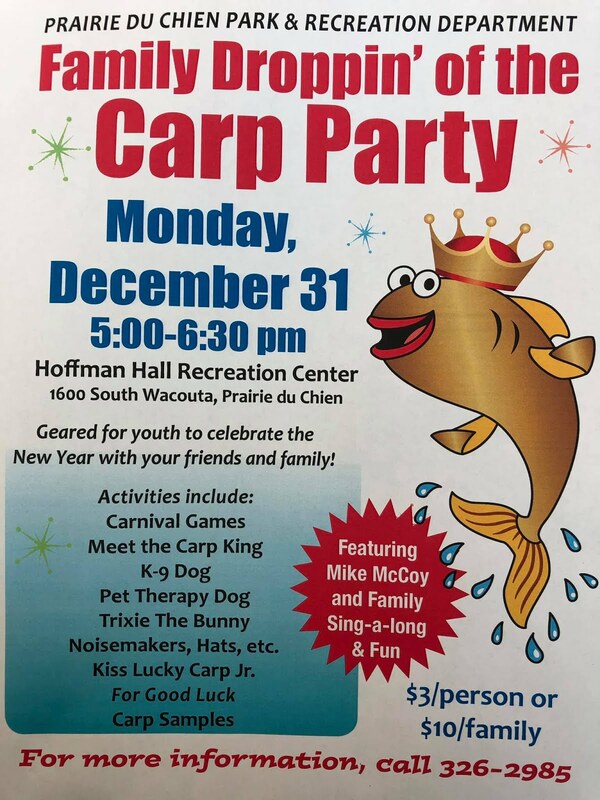 To conclude Carp Fest, the Family Droppin’ of the Carp Party, sponsored by Valley Fish and Cheese, will enliven Hoffman Hall once again on Monday, Dec. 31, from 5 to 6:30 p.m. For a small one-time fee, the party will feature chances to kiss Lucky Carp Jr. for good luck; laugh with Prairie’s own goofy Cousin Cletus; meet the Carp King; pet a K-9, therapy dog and a bunny; play carnival games; enjoy carp samples; and ring in the new year with noisemakers, hats and more. “This still gives families and friends that opportunity to get out and celebrate an entire holiday season,” Ulrich said.